I've been taking selfies before I even had a Nokia cell phone on which I could play Snake, with old-school point-and-shoot cameras. It's not narcissistic - it just makes sense if you want a picture of you and another person, or in front of something cool, and no one else is around, that you take the picture yourself. 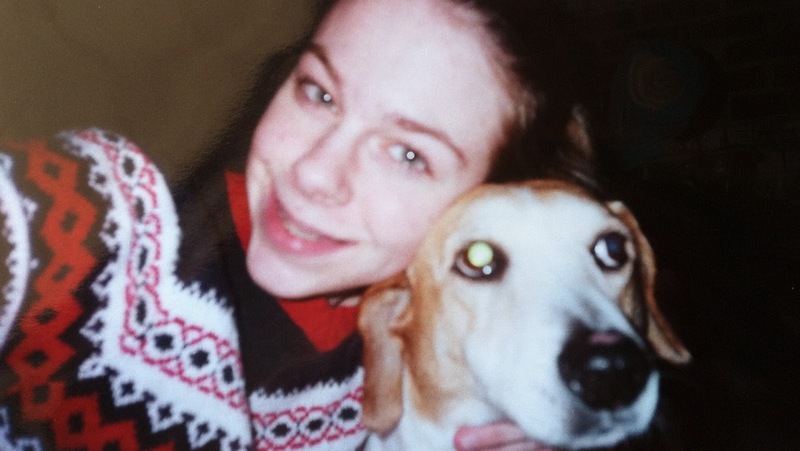 My first selfie on record is of my dog and me in middle school that I took when she had to go to the vet and I thought she was going to die. Poor Huckleberry had no idea what was happening. My selfie game (and my game in general...) got much better during my college years. I wanted everyone in every photo and I lost and broke many cameras so I kept mine strapped on my arm, holding it upside down so that my arm wasn't as prevalent in the shot. It felt so much more efficient than giving someone my camera in a bar and trying to keep a clear space in front of my group of friends and waiting for the picture to be taken. Of course not every traveler is as respectful as they could be when it comes to taking photos. One of my major pet peeves is people who keep their sound on while they are taking photos with their iPhones and the incessant little snap that comes along with every press of the button. This is especially obnoxious in quiet places, like places of worship. I also think it's important to discuss how one should use a selfie stick. I'm of the belief that in public, these should only be used outdoors, never indoors, especially not in churches or museums near priceless works of art or artifacts. Many museums, including New York's Metropolitan Museum of Art, the Guggenheim, and the Frick have banned them and for good reason. Selfie sticks should definitely not be used in crowds - this sounds obvious, but some people forget that there are others around them. The first time I used my selfie stick in Lisbon, I accidentally hit my sister twice and she quickly forgave me, but if I had been around strangers and gotten my selfie stick stuck in *their* hair? I think we'd have a different story. Whenever we took pictures with our selfie sticks in Portugal and Spain, I made sure we were in our own little area and would never reach or disturb anyone around us. Many opponents of the selfie discuss how you should just put your camera down and enjoy what you are seeing. You should definitely do that - if you are only experiencing life through the screen of your iPhone, then you are doing it wrong. But I see nothing wrong with wanting a few shots of yourself with amazing backgrounds. You're not only capturing the shot to show people when you return - you're helping to record the moment so that when you are 95, you can better remember how bright and warm the sunshine was on your skin, how blue and clear the sky was in the distance, and how the experience made you smile your widest in months. A selfie stick will be in my bag for MR16! !